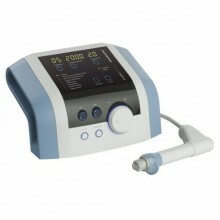 With a user friendly interface and 7 preset protocols this shockwave therapy unit is easy and flexible to use. It allows for manual adjustment during treatment and has been designed by users themselves for optimum design. The system can offer effective, non-invasive treatments for pain coming from musculoskeletal problems. It offers fast relief from pain and helps to restore mobility quickly, without the need for surgical or pharmaceutical intervention. Click the button below to add the BTL-6000 SWT Easy to your wish list.